Grove Team Keller Williams: Should I pre-qualify before shopping for a home? 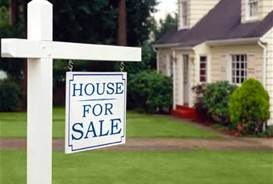 The price you pay for a home is only part of the financial information you will need when making a purchase. As a home buyer, you will want to obtain a pre-qualification before beginning the home buying process. Many mortgage companies and banks can help you through this process. The Grove Team can provided you with recommendations of lenders that can provide you with the most current mortgage interest rates, loan options and fees, and information about additional costs that are a part of home purchases. Getting a loan can be confusing enough without all the jargon to confuse you. It helps to know the most common terms and definitions so that you can make informed decisions regarding what kind of loan to get and the best way to afford your new home. Visit the Grove Team's website for a complete list of terms that will help you navigate the process. How will the mortgage company calculate my approval? Pre-qualifying is done by assessing your financial statement and your credit history. Any sources of income are added together with assets you own. Debts you that are paid monthly are subtracted from your gross monthly income, which is your net income. Generally, the debt to income ratio should not exceed 25% to qualify for a conventional loan. Every lending institution will have guidelines they use when working up a pre-qualification. Shopping for a home loan or mortgage will help you to get the best financing deal. Mortgage terms can often be negotiable. Compare all the costs involved in obtaining a mortgage. Shopping around for a home loan you thousands of dollars.